Ah, to be a kid again, to feel excited as the holiday season approaches so you can finally open your presents. The holidays might not be as fun for adults because of all the shopping and holiday preparation, but there’s an upside to the increased consumerism this season brings. 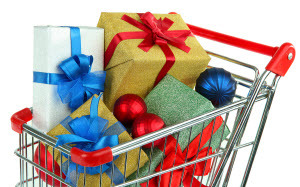 Shopping for holiday gifts is similar to shopping for your next job, many of the shopping and bargain hunting tricks you learn this season could help with your job search. Still not seeing the connection between the two? Let me help you. You know what it’s like shopping for gifts at the last minute right? The choices are limited, the size/color you’re looking for is not available and there are too many people hoping to get a last minute gift. The same applies when you’re looking for a job. If you see a job ad that looks promising, send your application right away. If you wait too long, you might miss the application period, or worse, another applicant might have already landed the job. It’s easier to buy a gift for someone who knows what they want, right? That’s what wish lists are for… It gives you an idea of what the recipient wants. Now when it comes to job hunting, the job ad is there to tell applicants what the employer is looking for. It’s their hiring wish list, if you want to get the job, your resume and cover letter should reflect the qualities and skills indicated in the job posting.